In May 2003 this letter was send to Mr. Günter Krüger in Bonn. 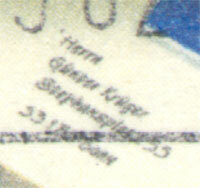 The stamp used shows a letter which is just being sent. 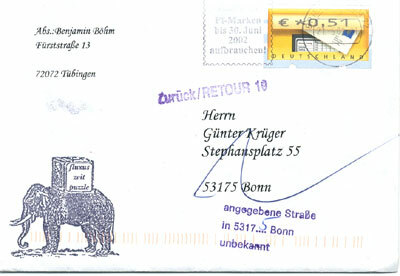 You can read the address on the envelope, the letter is for Mr. Günter Krüger in Bonn. Strangely enough, the letter couldn't be delivered.